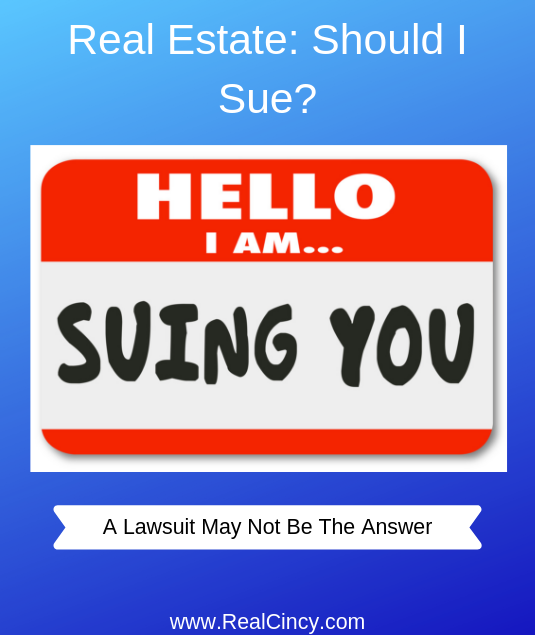 Real Estate: Should I Sue? When something goes wrong during a real estate transaction the question comes up of should I sue? While it is easy to talk about filing a lawsuit and expecting an open and shut case the reality is quite different. This article looks at all the potential parties that could be sued, the reason they may sue and the possible outcomes to help determine whether it makes sense to sue someone when it comes to a real estate transaction. As with anything legal related it is highly recommended to speak with a local attorney who is an expert in the matter as laws vary state to state and even city to city and this article only covers the topics of lawsuits in a general manner and does not cover specifics as to each and every situation. Should I Sue My Real Estate Agent? Whether you are selling your home to someone buying with a mortgage it or working on refinancing your existing mortgage you will have to get an appraisal on your home. 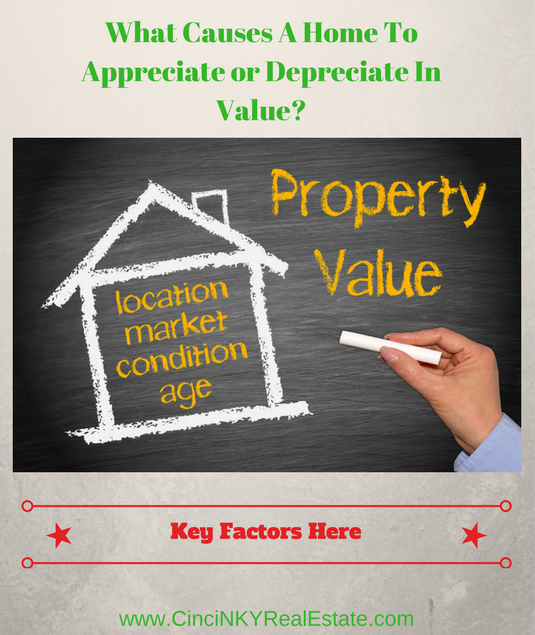 An appraisal is prepared by a licensed Appraiser who looks at the condition and features of your home and compares them to other similar homes in order to come up with an opinion of value. As long as your appraisal meets at least the sales price during a sale or meets the value the mortgage loan refinance is being based on you should be fine. If your home ends up getting appraised for less than the agreed to sales price or less than the value of the refinance is based upon the purchase contract or refinance could fall through. This article looks at how best a homeowner can prepare for an appraisal so they put their best foot forward to ensure the best chances of success. When Does An Appraisal Happen? After the purchase or sale of a home comes the challenge of moving from or to a new home. 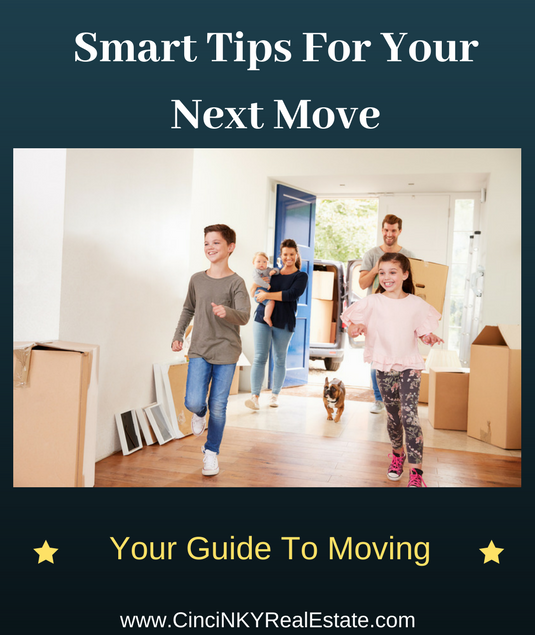 There are a number of different approaches to take with the move but the initial prep work prior to the move can make the difference between having a move that is easy versus a move that could be very stressful. This article looks at the different options for moving, offers tips on preparing for a move and provides some advice on how to avoid some common moving scams. Depending on how much stuff you have to move this can always be a cost effective option. If you plan on buying new furniture and belongings at your new home then you can sell, donate or throw out stuff you no longer want so as to reduce the amount you yourself have to personally carry. If you are just moving clothing, kitchen ware and little less else then one person could handle the entire move on their own. On the other hand if furniture is involved you will need help to move the larger pieces of furniture safely. Enlist the help of your friends and make sure you plan the move ahead of time. Inventory all your heavy items and keep an inventory list of everything boxed up and tag the boxes accordingly so you don’t have to tear open every box just to find your coffee maker after you move in. Due to the complexity of real estate transactions many states have adopted laws regarding the agency relationship between a real estate agent and the client. All too often lines can get blurred as to who an agent is representing when there are multiple parties involved in a real estate transaction. Generally in most states a real estate agent works for a broker who is the one setting the terms of the relationships with clients. The real estate broker can impose on their agents the rules with which how agents can represent real estate buyers and sellers provided for under the state laws they are bound by. 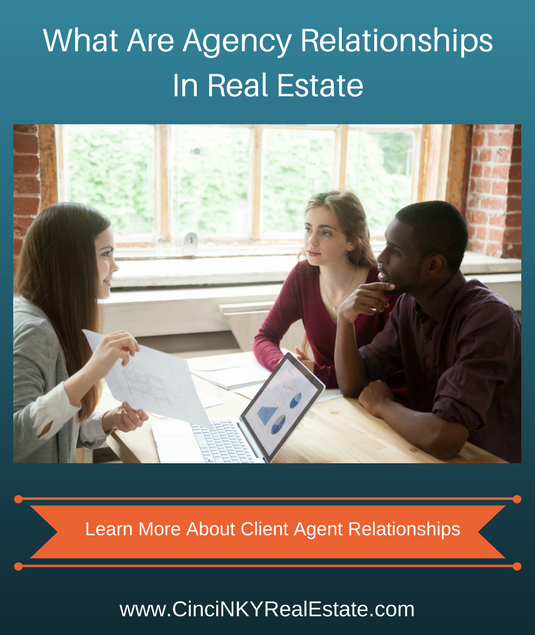 The agency relationship between a client and their agent governs how the agent is to treat their client and this article will explore agency relationships further. While most real estate agents are licensed under their state laws many agents jump into the business in hopes of easy money and little work since the barrier to entry can be quite low. In fact the opposite is true. Many agents who jump in thinking there is a lot of money to be made in real estate quickly realize that just like any other job they only get out what they put into it. As a result homebuyers and sellers will find many agents who are lacking and not willing to do all it takes to make sure their client’s needs are put first. Whether it be the agents who don’t return calls, don’t respond to emails or live in the stone age and still rely on fax machines and want ink signatures on paper forms they have to hand carry everywhere, it is not benefit to someone wanting to buy or sell real estate to have to deal with that. Real estate transactions can be done in pretty much most states without the use of a real estate agent and this article explores where doing things on one’s own can be an option. 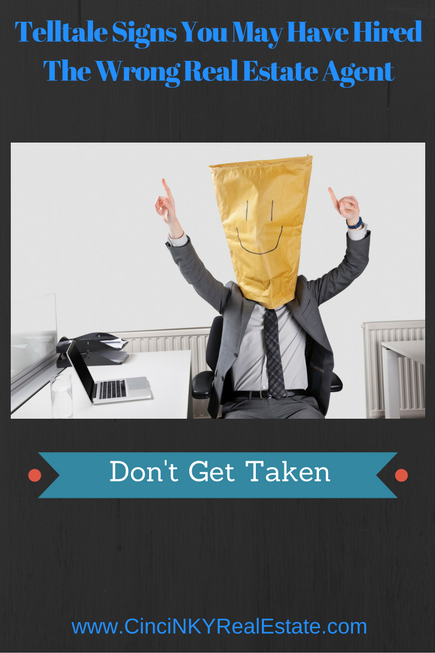 Just because an offer has been accepted on a home does not mean it is a done deal. Instead there are many steps that need to be accomplished prior to the actual homebuyer and sellers being able to close on the home and transfer ownership. Before closing there are a number of issues that can pop up that may not only stall a home sale but can kill the deal completely requiring the home to go back on the market. This article looks at where issues may pop up and some ways to prevent those issues from causing a deal to fall apart. While not as common this does happen from time to time where either the buyer or the seller decide they no longer want to buy or sell a home. If the homebuyer announces their intention ahead of time not to buy the home then sellers may only have lost a few days on the market and can quickly have the home back on the market. On the other hand if homebuyers declare they don’t want to buy the home at the last minute this can leave the home sellers in a tough situation especially if they have packed everything up and maybe even moved out of the house. Often these situations can result in a lawsuit to recover money for expenses made in anticipation of selling the home and the buyer could be forced to buy a home if a court ordered them to complete the terms of the contract they agreed to. Whether you are selling a home or buying a home, going into the process organized is key in order to make sure things are done right and in order. Getting a pre-approval after making an offer on a home is a surefire way to failure as the homebuyer does not know whether they can afford the home they are making an offer on or whether they will be approved for a mortgage with the lender they apply with. Similar with sellers is a home seller who does not prepare their home first hand and instead decides to list as is the chances of them getting a good price for their home is greatly reduced. Instead both homebuyers and home sellers will be better off by keeping a checklist of things they need to do and the order in which to do them in order to ensure a successful sale or purchase. 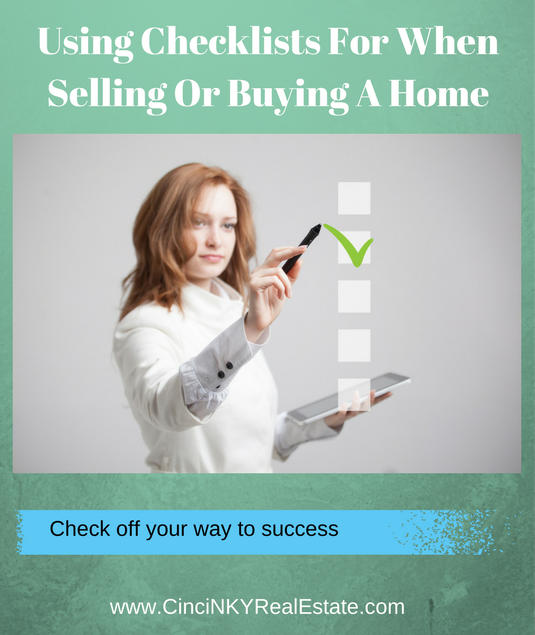 What Should Be Covered In A Home Sellers Checklist? Home sellers should have a pre-listing checklist which covers the preparation of the home prior to putting it on the market as well as a checklist to cover what is done to the home prior to showings while the home is on the market. By having a home properly prepared home sellers can help ensure homebuyers are not distracted by readily apparent flaws in the home like uncleanliness, clutter, pet smells or more. Home showings are just as important as pre-sale preparation since during the actual showings homeowners will learn if buyers are actually interested in their home. When a homebuyer purchases a home they have a deed registered in their name which specifies how the property is owned. If the homebuyers are married the deed will usually be “titled” or written to show that both homebuyer spouses own the property as a whole together. There are other ways to title a deed and this article explores the different ways and the benefits and drawbacks of each of those ways. 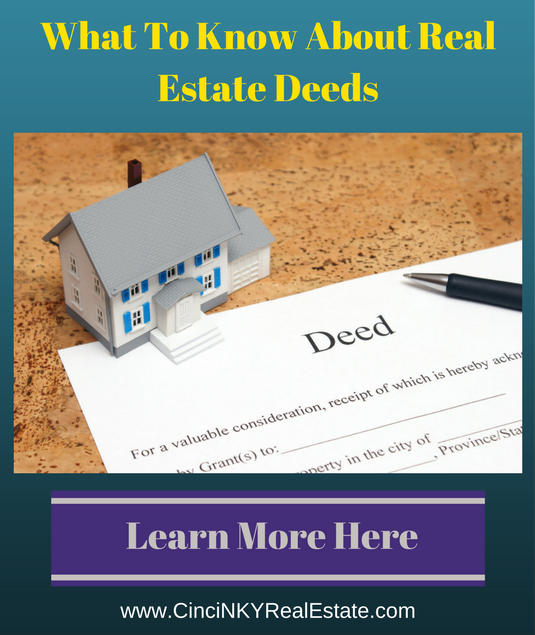 There are a number of types of deeds that can be used for the transfer of real estate. The most common types found are General Warranty Deed, Limited or Special Warranty Deed, Quitclaim Deeds, Trustee Deeds, and Fiduciary Deeds. Deed types and deed names can vary based on state laws so it is always best to consult with a real estate attorney licensed in the state where the deed is to be recorded if there are any questions as to what type of deed is needed. Both homebuyers and home sellers need to understand what is involved in an offer to purchase a home. Contracts to purchase a home contain many different terms and requirements that are binding to both the buyer and the seller. Even a simple slip in missing a deadline can result in consequences the parties may not fully understand the consequences of. So not only is a thorough understanding of the terms of the contract to purchase a home necessary understanding the critical timelines is also a must. This article primarily deals with residential real estate. While there are some similar concepts in commercial real estate, the buying of commercial real estate is a different type of transaction that does not have all the protections required under law that residential real estate has. 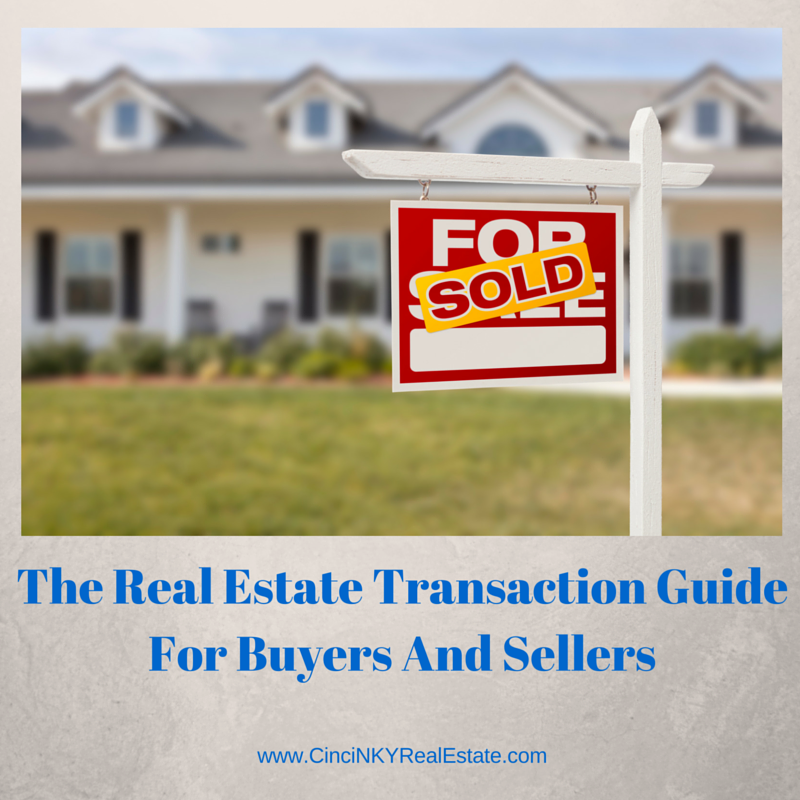 Regardless of the type of transaction, due to the complexities involved it is always advisable to have a professional Realtor or real estate attorney assist buyers or sellers with their real estate transaction. All contracts to buy or sell real estate must be in writing. Generally formal contracts are used and provided by many states and real estate agent boards for use by home buyers and sellers. The contract to purchase rental real estate must include the subject property information (usually the address), the amount being paid to purchase the property along with any other conditions and/or qualifications of the purchase, as well as the buyer and seller information. Depending on the state you are in the bar to get a license to become a real estate agent can be quite low. 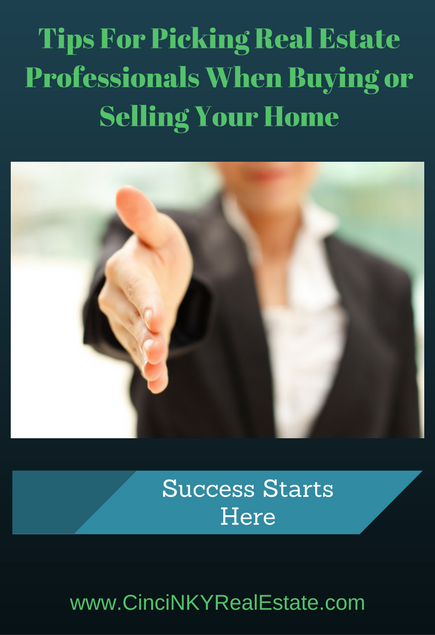 Take a few classes, pass a test and you too can become a real estate agent. On the other hand skilled real estate agents are continually doing more to enhance their knowledge and skills so they can better serve their clients. 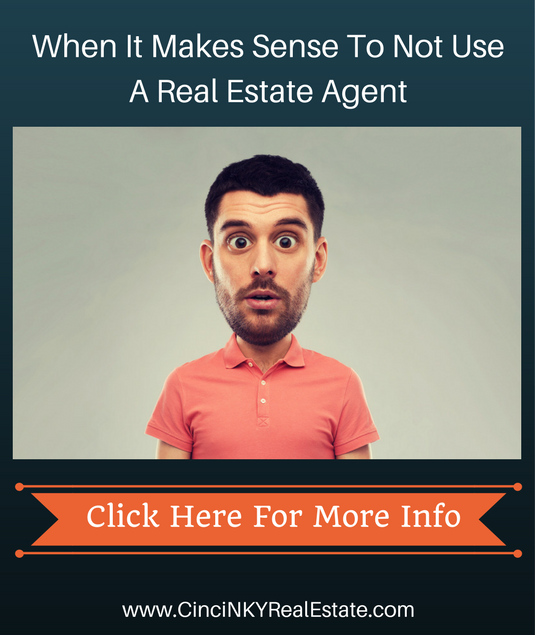 So what are the exact signs that can let you know you got stuck with the wrong real estate agent? Read on below to learn more. If from the start of your relationship with a real estate agent you are having issues with them calling you back on time or they don’t call you back at all that is a major problem. One of the greatest way to kill a real estate deal is by not returning phone calls. In very fast moving real estate markets time is of the essence and if an agent is not able to put in an offer to buy a home within a reasonable amount of time of you calling them you could lose the home to some other buyer whose agent was timely in responding to their clients. In an active real estate market when a home is properly prepared and priced right the chances of a buyer or seller facing the situation of multiple offers on a home is increased. By handling a multiple offer situation properly both home buyers and sellers can ensure success on their part. When handled incorrectly multiple offers can cause some buyers to waste money during the purchase process and lead some sellers to think their house can be priced much higher than it currently is and reject good offers in hopes for more money. 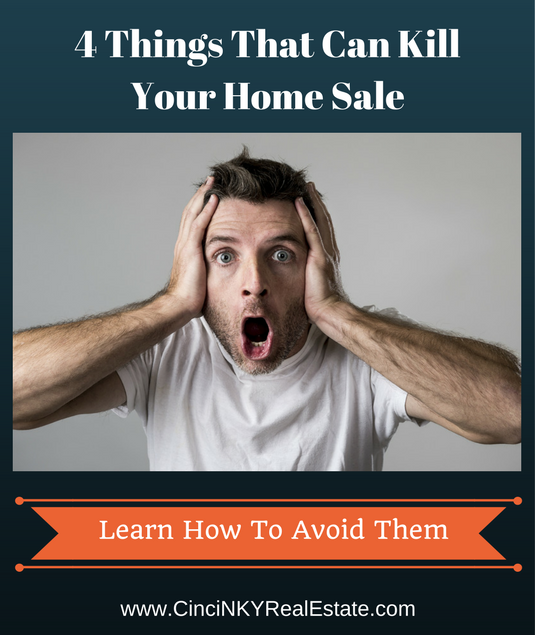 While it may be a great feeling to have your home in a multiple offer situation you need to make sure it is handled properly otherwise you could end up scaring buyers away. 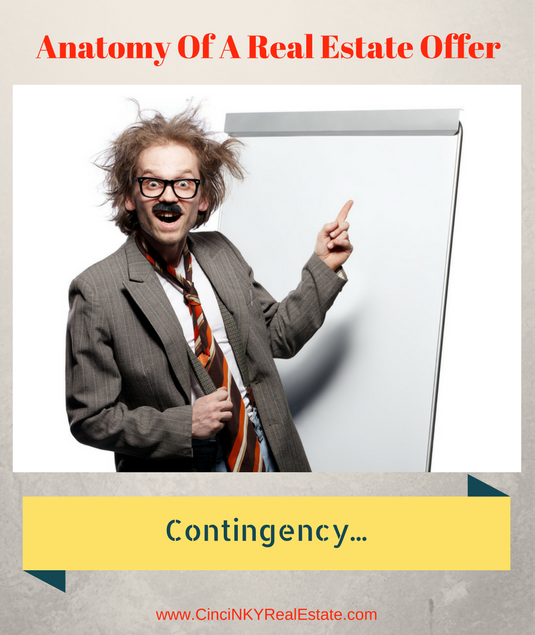 A multiple offer situation is a chance to get a little more money for your home and possibly get some better conditions when it comes to the offer contingencies. Sellers should definitely not get greedy when it comes to multiple offers as that could cause buyers to look elsewhere. Demanding much higher offer prices or removal of contingencies (inspection, appraisal, financing) is going overboard and will send up red flags with buyers. Not only that if the price is too high to meet the appraisal price then you could look at having to renegotiate the price or having the buyer walk away under the appraisal contingency clause. Anytime you find an activity with money involved you are sure to find scam artists who are more than ready to part you with your hard earned money. 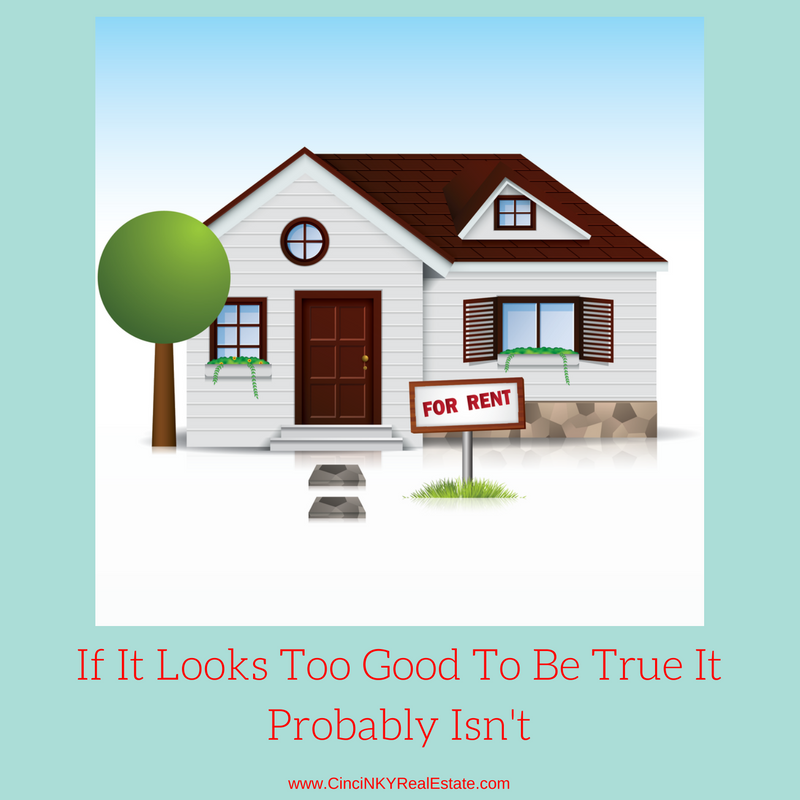 Real estate is no different and there are many scams that individuals with less than honest intentions will try. 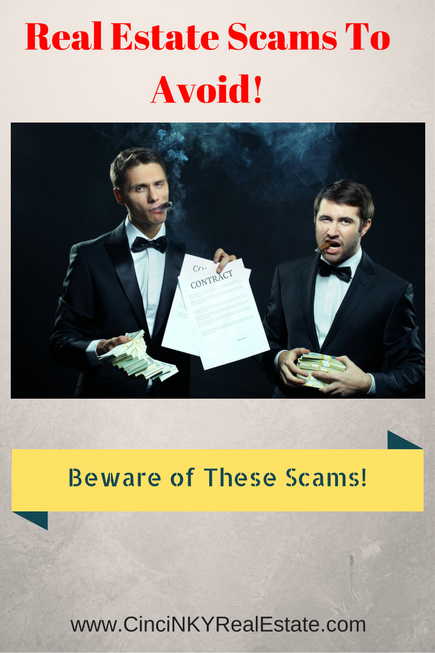 By being aware of these common real estate scams you can make sure you do not become a victim yourself and if something does seem too good to be true have an idea of where you can dig for more information. This particular scam targets both home sellers and people looking for a place to rent. The scam artist in this scam will take pictures of a home for sale from a real estate website and then post those pictures on rental sites hoping to draw in potential renters. Part of the scam also involves not actually getting you into the rental home by saying it is occupied so only pictures will be used. Even if you are allowed into the rental home you still need to be careful as there are some rental companies that let anyone in through a home unattended so long as they provide some identification and a credit card. The scammers can get in using stolen identities or using your own information you gave them on an application. Once your home inspection is completed and depending on the age, condition and how you are selling your home you can expect to receive a list of requested repairs to deal with any issues your home may have. While a good buyer’s agent will counsel their clients that the home they are buying is not a new home and everything won’t be in perfect condition, asking for repairs of safety related issues is advisable. If you as the seller get a large list of requests requesting even simple things be repaired then it may be the case that the buyer’s agent did not counsel their clients properly when it came time to draw of the list of repairs. If you were advertising and selling your home as-is then the home inspection report is mainly for the buyers to know what they are getting when they purchase your home. Anything in need of repair on an as-is home is for the buyers to deal with and your home should be priced accordingly. When attempting to sell or buy a home often times emotions and the competitive spirit can get the best of people resulting in a failure for anyone to reach their goals. What brought you to the negotiating table in the first place is a desire to sell or buy a home. Part of negotiating is knowing what position you stand in compared to the other party. If you are in a seller’s market where there are more buyers than homes you as a buyer may not be in the best position to demand and expect to get everything. The reverse applies as well where you as a seller are in a buyer’s market where there are glut of homes. Standing pat and hoping to sell your home at a price you want without concessions will leave you with an unsold home and buyers moving onto something better priced. 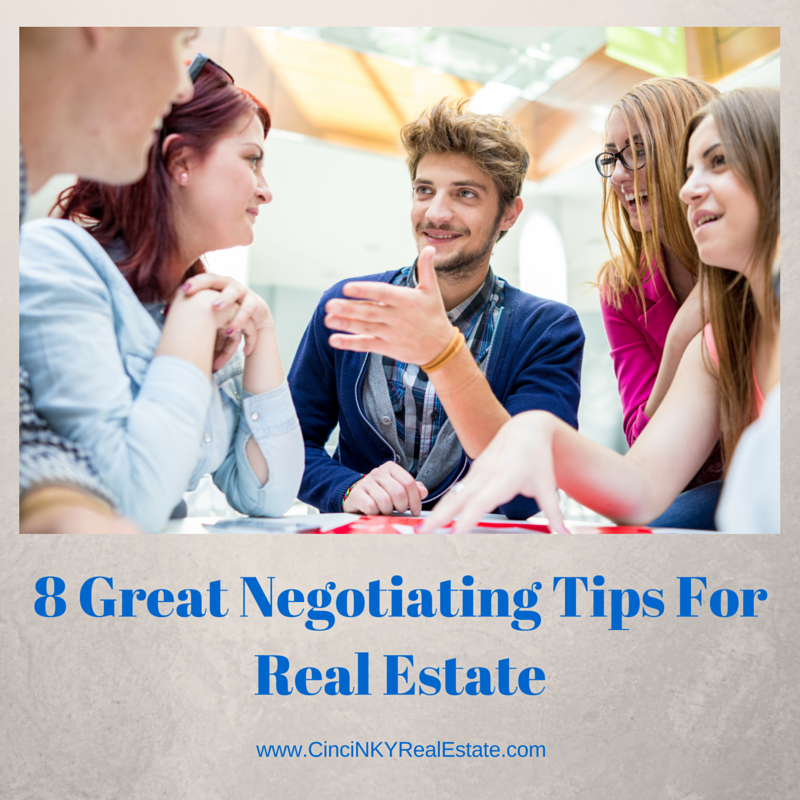 With that in mind here are some negotiating tips for both the seller and the buyer, which can help you reach your final goal. Probably the best negotiating tip for a home seller is to get the home pricing right the first time and then it becomes an issue you don’t even have to negotiate on. If your home is priced just right then you will get offers early on and may even get multiple offers allowing you to pick the best offer without having to haggle over price. 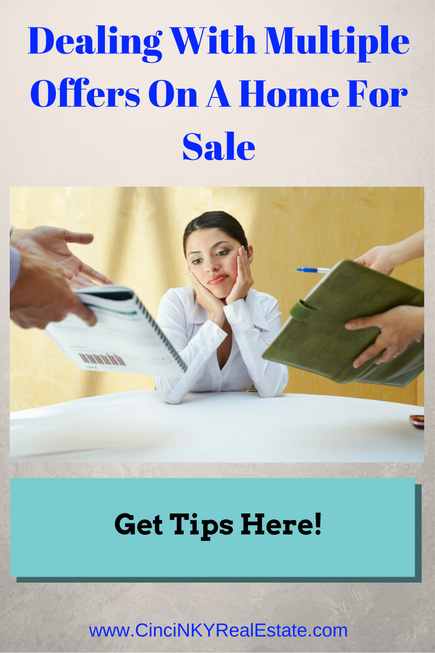 Take the pricing issue off of the table and there is no need to negotiate about it. 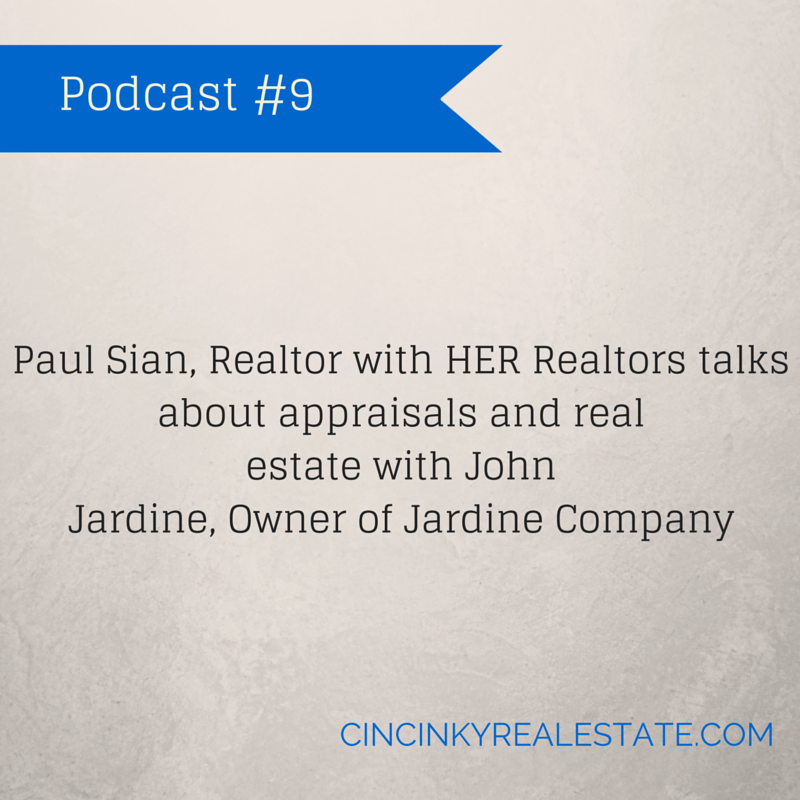 For this podcast Real Estate and Appraisals I sat down with John Jardine owner of Jardine Company. 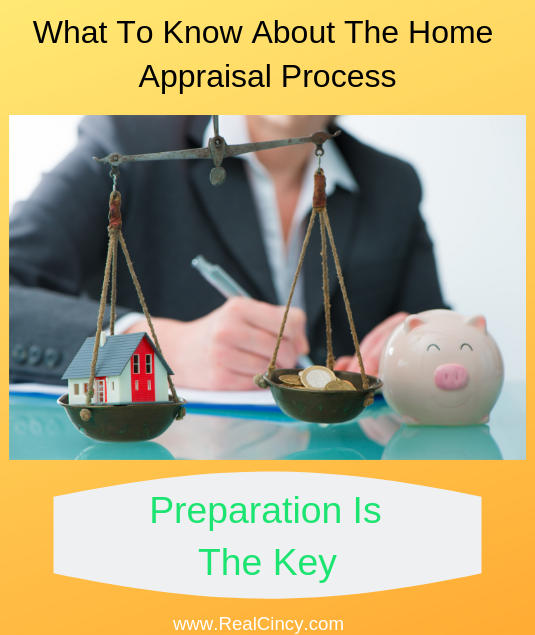 During our conversation we discussed the appraisal process, what is an appraisal, how to prepare for an appraisal, FHA appraiser steps, and more. This podcast is helpful for those wanting to sell their home and want to learn more about what appraisal involves. I hope you enjoy the podcast and find it informative. Please also consider sharing with those who may find it useful. You can connect with John Jardine on LinkedIn. You can connect with me on Facebook, Pinterest, Twitter, Google+, LinkedIn, YouTube and Instagram. Most residential homes when put up for sale must have a residential property disclosure form filled out disclosing the known conditions of the property. 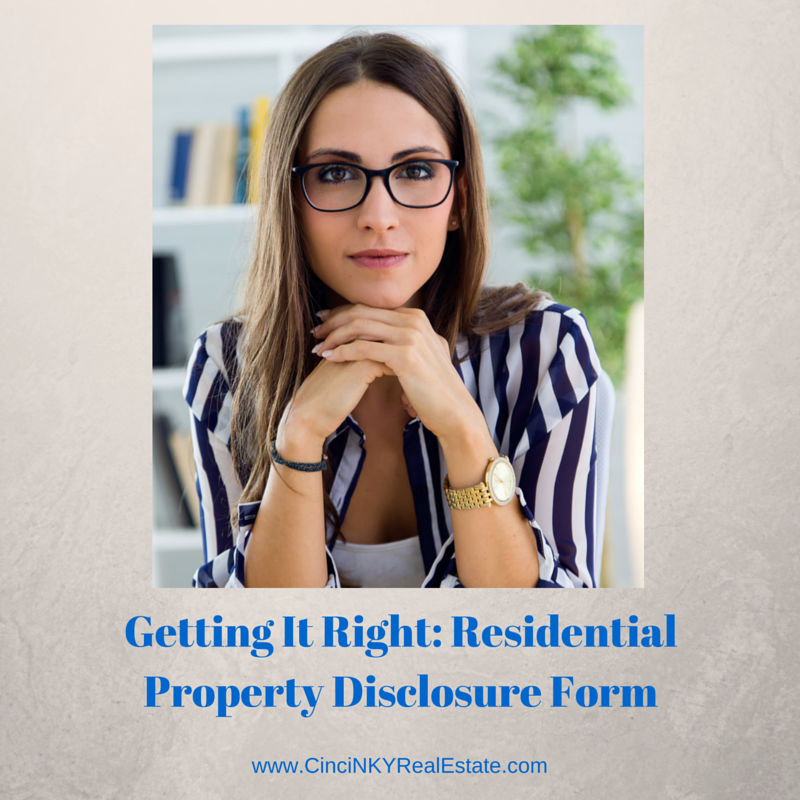 Many residential disclosure forms require the disclosing of not only conditions that are in existence now but also conditions that have happened in the past and have been repaired. Some state disclosure forms (like Ohio) set a limit of 5 years for reporting past issues, so if it happened 5 years or more prior and has been repaired you may not have to disclose it now. Always use the property disclosure form created by your state government as it will contain state specific items that forms from other states may not cover. The property disclosure form is not a warranty or guarantee for the things disclosed. Instead it is simply notifying buyers of issues and then it is up to the buyers to decide whether they wish to purchase the home or not. Improper disclosure or lack of disclosure can result in a lawsuit where the seller may be forced to pay damages to the buyer or even worse the seller can be forced to take back the property and make the buyer whole monetarily. When selling your home there is a good chance that the buyer will request a home inspection. 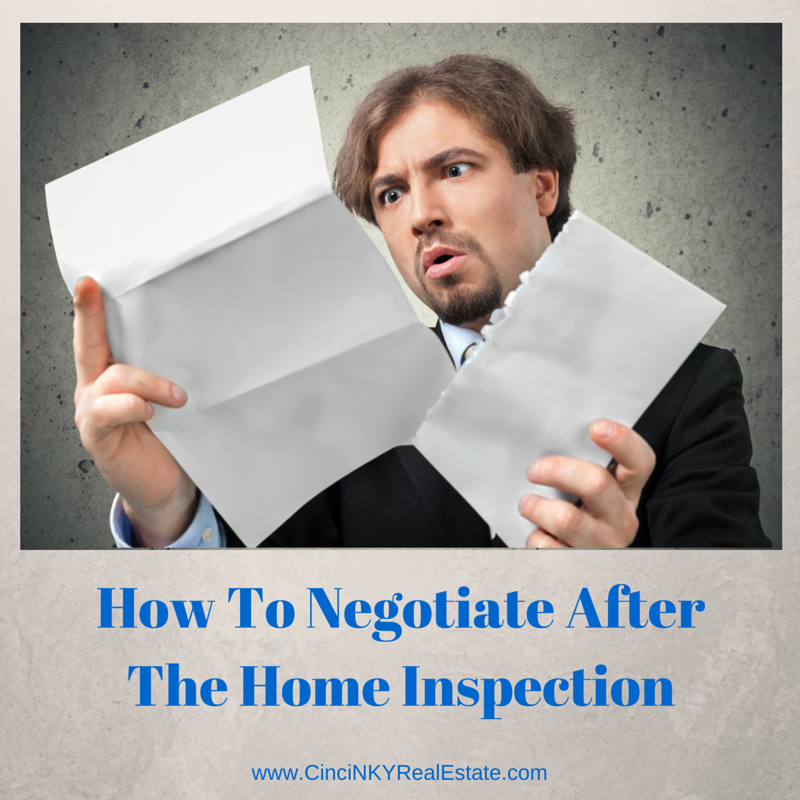 Having too many issues in the home inspection report could send up red flags to the buyer that causes them to back out of the deal. Many of the issues found in home inspections can be remedied beforehand so that the home inspection will turn up nothing but a clean check of the home and useful suggestions on various aspects of the home. Ideally getting your home inspected prior to listing it for sale is best since a home inspector will go through your home just as they would for a buyer and give you a list of all the issues they find. With that pre-listing inspection list you can repair those problem areas ahead of time so there is one less thing to cause your home sale to go bad. Regardless of whether you decide to go the pre-listing inspection route or not there are some common issues found in home inspections that you should be aware of. By checking your home with regards to these common issues and making repairs before you list you are in better position to reach the closing table. Additionally you may end up saving yourself time and money since having to make repairs while under the deadline of a closing date means you may have to go with whoever is available and pay whatever price they charge since it has to be repaired.